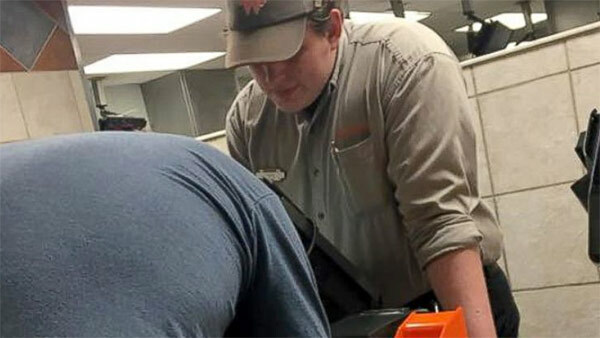 A cashier's interaction with customers at a fast-food restaurant has touched the hearts of thousands of people across social media. Twenty-year-old Taylor Pope works as a cashier and team leader at the Whataburger in Denton, Texas. Last weekend, as customers learned Pope was hearing-impaired, they began writing down their food orders. "The story going viral," Taylor wrote to ABC News today. "It's so heartwarming to know there are so many good people in the world that lets me be their inspiration. "My job isn't always so fun but the only thing that makes it worth it is my co-workers and the customers." Kolbie Sanders was observing nearby, and snapped a photo of the touching moment. That picture has since been shared 21,000 on Facebook. Get the whole story on ABCNews.com.